The Rye Neck School District celebrates education through STEAM enrichment programming that offers comprehensive learning opportunities in the disciplines of science, technology, engineering, the arts, and mathematics. It equips students with 21st-century skills by allowing them to explore their curriculums in a deeper way and by engaging them in critical thinking. Banker is quick to point out that Enrichment is a schoolwide endeavor supported fervently by Superintendent Barbara Ferraro, High School Principal Tina Wilson, Middle School Principal Eric Lutinski, and the PTSA. 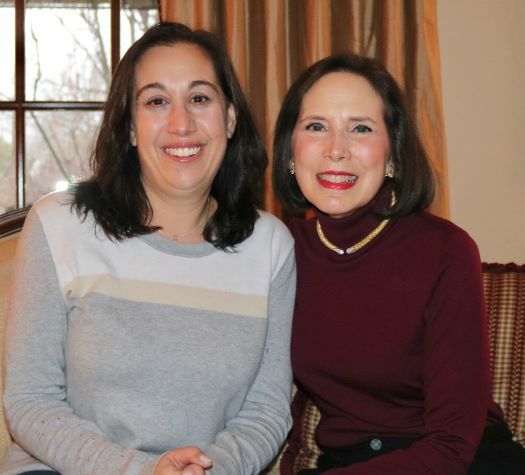 Starting off as a Rye Neck class parent back when her son Benjamin was in elementary school, Banker’s involvement in the District expanded rapidly. She was instrumental in bringing the No Place for Hate program to the Middle School and working with Guidance Counselor Meegan Lawlor to provide a safe learning environment where all students are valued. Upon moving into the role of STEAM Committee Chair in 2015, Banker introduced the University of Pennsylvania Museum of Archaeology and Anthropology’s Virtual Long Distance Learning. The PTSA and the high school faculty liaison brought interactive university-level lectures to Rye Neck’s classrooms through Skype-like technology. The STEAM Committee also provides live lectures for students, whether it’s a NASA astrophysicist, a Holocaust survivor, or an archaeologist from Turkey. “I think it’s important to bring in speakers who have interdisciplinary interests,” suggested Banker, who earned a Marketing and Consumer Psychology degree at the University of Pennsylvania before becoming a lawyer. Last year, Banker brought in U Penn Neuroscience, Psychology, and Marketing professor Michael Platt, a brain research pioneer. His lecture on brain function and how social media impacts decision-making riveted students. Coming up this spring are Dr. Jason Carmel, a Rye Neck father who will discuss neurobiology and psychology, and a return visit by Civil Rights activist/author Nell Gibson, who will provide a valuable glimpse into her life as an African-American girl growing up in the Jim Crow-era South. Other programs the Committee offers are dance lessons, field visits to the Jay Heritage Center, one-person reenactments by professional actors of books the students are reading, and Shakespeare Theatre productions. “Another way of sparking imagination is to bring the pages of assigned literature to life through theatrical performances. Often, it is the first theater experience the kids have,” said Banker.